LG announced their brand new V40 ThinQ with 5 cameras today. Following the tradition of previous V series phones, the V40 puts photography and videography at the forefront. The LG V40 uses all three cameras on the back to take three photos simultaneously. Whether you want a super wide shot, traditional view, or a 2X zoom the choice is yours. LG also shows off their latest display technology with a 6.4-inch OLED screen debuting the notch for the first time on the V series. While the DTS-X 3D surround sound with Boom Box Speakers ensures loud immersive audio while watching videos or listening to music. For more details check out the LG V40 announcement. 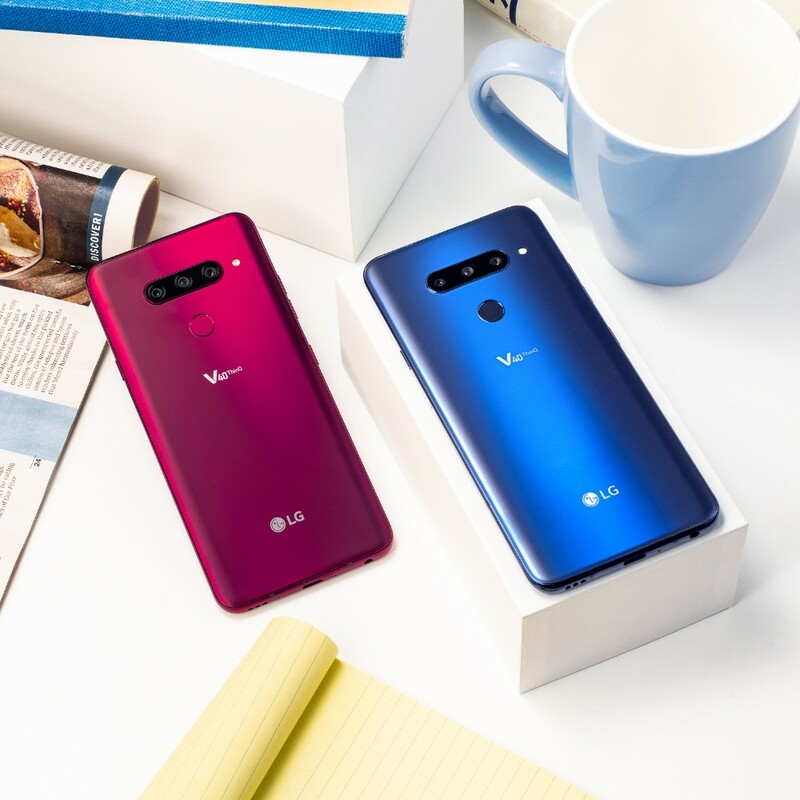 AT&T customers will be able to pre-order the LG V40 ThinQ starting on October 12 for $31.67 through AT&T Next for 30 months with eligible service. However, you won’t be able to get your hands on one officially until October 19. Beginning October 19 the LG V40 will be available for $20 a month with Sprint Flex Lease. This promotion adds up to a savings of $360 over an 18 month period and will be available for a limited time at all Sprint stores, www.sprint.com, and 1-800-SPRINT1. The giga-bit class LG V40 ThinQ is the 18th 600MHz capable phone to be released on T-Mobile. It includes several speed boosting technologies such as 4×4 MIMO, carrier aggregation, 256 QAM, and License Assisted Access. Pre-orders will begin on October 12 online and available in stores on October 19. You’ll be able to pick it up starting at $30 a month for 24 months on the T-Mobile Equipment Installment Plan after a $200 down payment. Verizon has two great deals for those looking to get their hands on the new LG V40 ThinQ. The first will save you $200 when you purchase using Verizon device payment. While the second deal increases the discount to $300 when you switch to Verizon or add a new line when trading in your old phone. Pre-orders start October 11 and if you order before October 17 you’ll be treated to a 256GB Sandisk microSD card, a DJI OSMOS Mobile 2 Gimbal, and be enrolled into the LG Second Year Promise program.